Can I use the colors in my logo in the PDF Designer? The PDF Designer allows you to enter a hexadecimal code to set as a field background color or text color. A hexadecimal code is a six digit code that represents a color. For example, white is represented by the hexadecimal code #ffffff. To find out the hexadecimal code for colors in an image such as your logo, open the image file in a program like MS Paint. 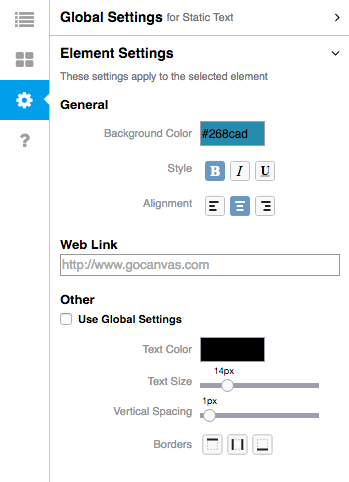 Click on the color picker icon in the Tools section. Click on a spot in your image with a color that you would like to use in the PDF Designer. Once clicked, the color will appear in the Color 1 section. When you have chosen a color that you like, click the Edit Colors icon. The Edit Colors dialogue box will open. Take note of the red, green, and blue color values; this is the color's RGB value. You will use these numbers to determine the hexadecimal code for your color. Find a RGB to hexadecimal converter online. Click here to be directed to a converter. Enter the red, green, and blue values that you found in Paint. Once converted to the six digit hexadecimal code, copy the entire code including the # symbol. Go to your Apps page and click the Edit PDF icon to launch the PDF Designer. Click on the section in your design where you would like to change the background or text color. This should automatically open the Field Settings. Delete the default hexadecimal code from the Background Color or Text Color boxes, and enter the code that you converted including the # symbol. The box will change colors to match the hexadecimal code entered. To learn more about the PDF Designer, click here.